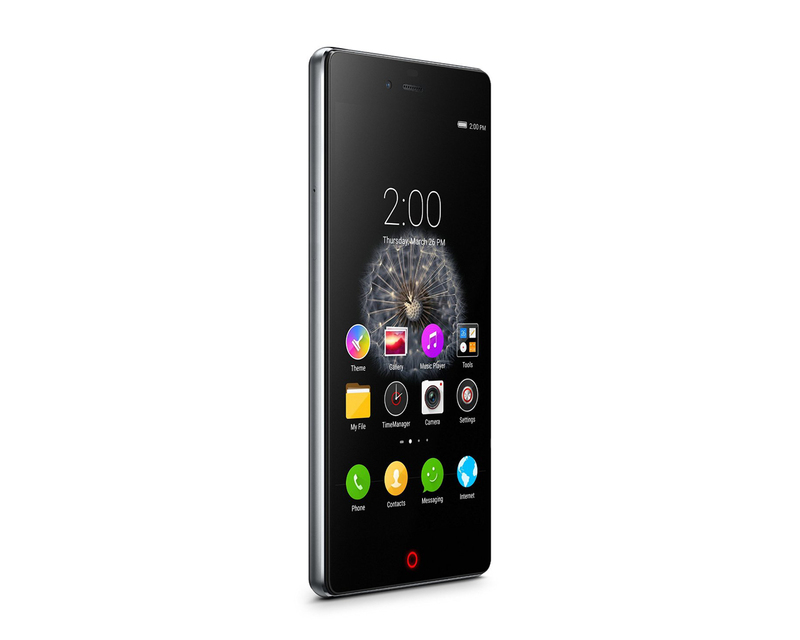 The ZTE Nubia Z9 mini is a simple bar-shaped smartphone for a fairly moderate price, which focuses on the details necessary for a pleasant user experience. Edges are curved and the back cover comes with a beautiful metallic finish and a slightly textured feel. The device itself feels solid in hand and users can choose from two colors; black or white. The Android 5.0.2 Lollipop smartphone comes with a 5.0 inch 1080p CGS screen with 441 ppi, which produces stunning images with good saturation. There is a Snapdragon 615 chipset with a quad-core Cortex A53 and a quad-core Cortex A50 clocked at 1.5 GHz and 1.0 GHz, respectively. Complementing the powerful processor is an Adreno 405 GPU, 2 GB RAM and an internal storage of 16 GB. 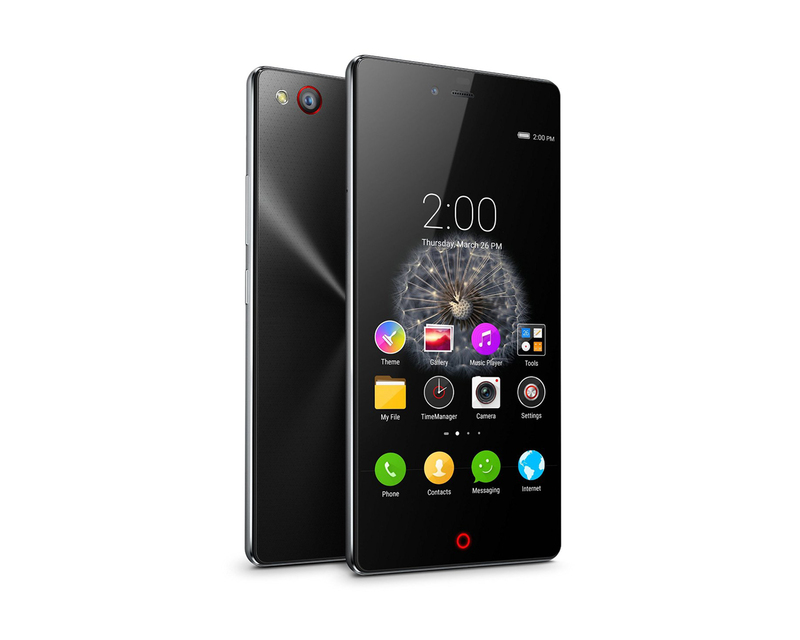 The ZTE Nubia Z9 mini comes with a 16 MP autofocus camera and a secondary 8 MP front shooter. The image quality is top notch thanks to the Sony technology and f/2 aperture. Other features are Bluetooth 4.0, an FM radio, A-GPS and microUSB 2.0. 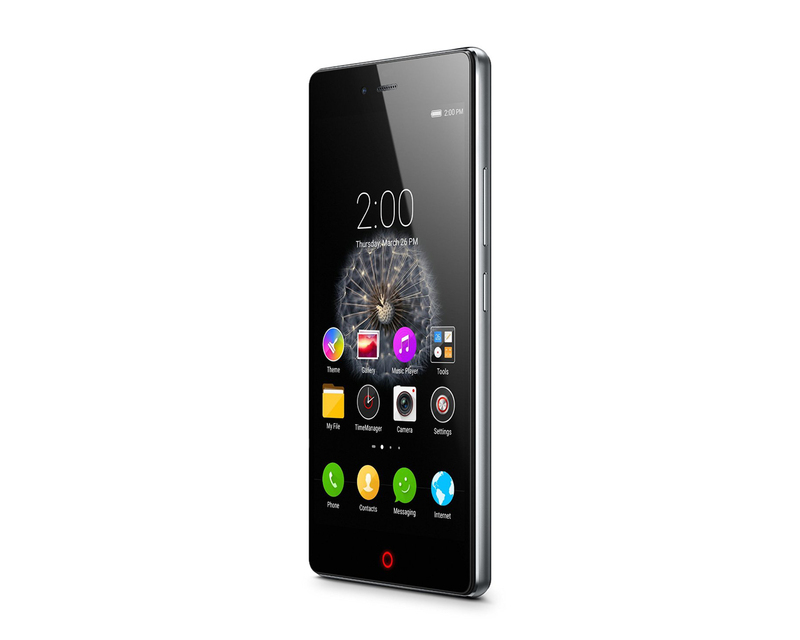 The ZTE Nubia Z9 mini comes with a non-removable Lithium-Ion battery rated at 2900 mAh. If you think about it though, all the praise and positive publicity the bezel-free Nubia Z9 is getting will be worth nothing if the price tag scares you away. We're not saying it's not fair for what the phone offers but's it's serious cash for a phone from a second-tier maker. 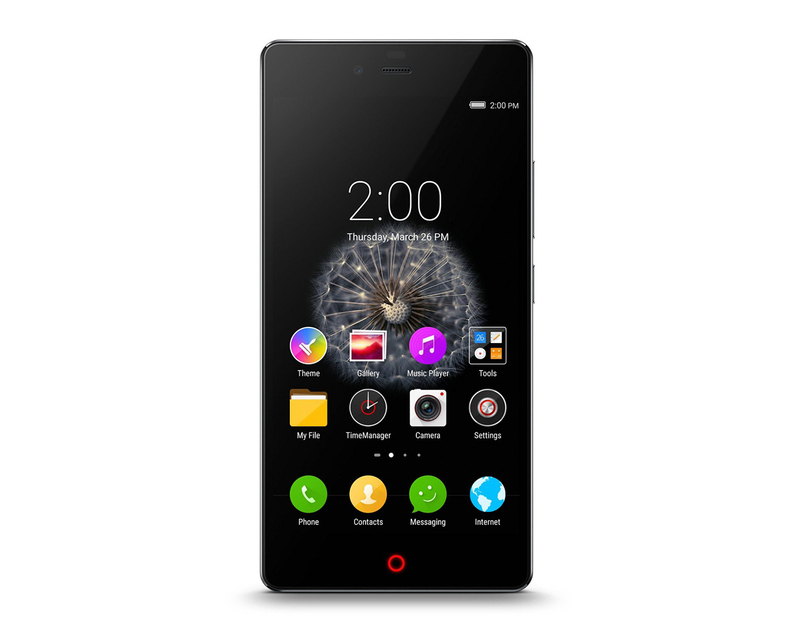 The ZTE Nubia Z9 Mini is a strong contender for the title of Best Mid-Price Smartphone on the market. 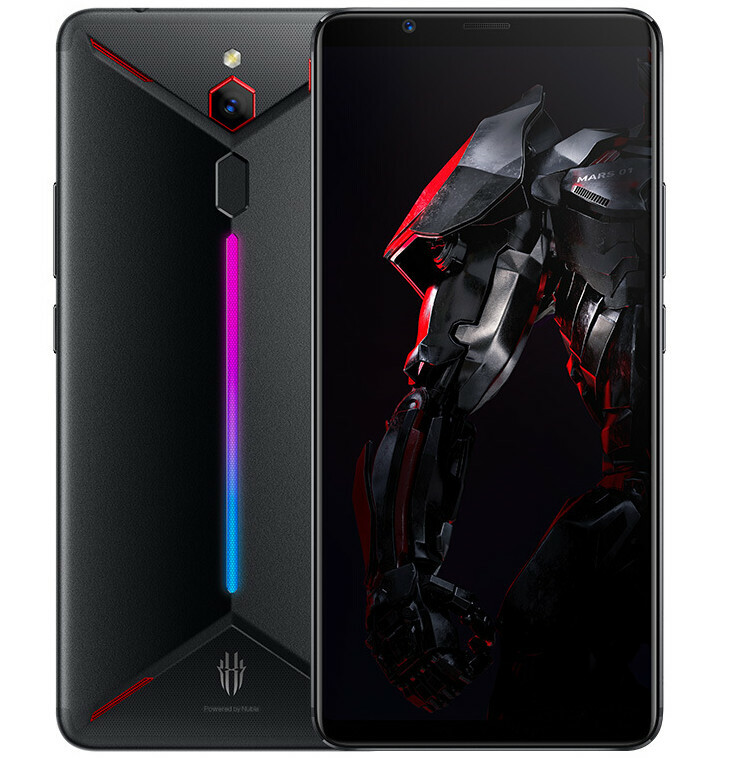 With its large battery, excellent camera, up-to-date version of Android, high-quality HD screen and top-end looks and build quality, you can’t seriously ask for more for the money. If you have a budget above 15k and need the best camera a smartphone can offer, then you need to look no further than the ZTE Nubia Z9 Mini. On the other hand, if you need your phone to perform, then the Asus Zenfone 2 is a much better option. If your budget is below 15k, then the Xiaomi Mi 4i offers the same performance as the Nubia Z9 Mini and a slightly less impressive camera, at Rs. 12,999. The Nubia Z9 Mini's camera performance left us pleasantly surprised. We would recommend this phone to anyone looking for a great camera in a smartphone that costs less than Rs. 20,000. Do bear in mind that the ZTE still needs to work on a few kinks in the software and that call quality is not up to the mark either. If you are willing to look past those issues, this phone should serve you well. Hopefully an over-the-air update will fix these issues soon. The Nubia Z17 Mini is a good handset, good performance, above average camera and battery life is pretty decent. Dual camera portrait mode was not that happening. Now this handset is priced at Rs. 19,999 would have been great if it was priced at under Rs. 15K. I just got the Nubia Z17 Mini today for the review. This handset comes with dual camera setup and price is Rs. 19,999. The full review will be up soon for now you can check what are the contents you will get inside the box – Unboxing the Z17 Mini. The Nubia Z11 Mini is the best camera phone you can buy in the sub-20K smartphone category. Period. Further, the good design, commendable display and the decent battery life add to the overall experience. However, its performance is a bummer. If you’re willing to compromise performance for a good camera, then go for the Nubia Z11 Mini. If you want a better overall performer, though, the Redmi Note 3 and LeEco Le 2 are better options. What I liked about the Z11 Mini was its design and that camera. What I did not like was the battery life and the outdated Android 5.1.1 Lollipop software. And it is a tough market out there with a lot of choices in the budget smartphone range. The ZTE Nubia Z11 Mini priced at Rs 12,999, does not stand a chance against the mighty Moto G4 Plus even though its priced higher at Rs 14,999. The same can be said about the current king of the ring, the Xiaomi Redmi Note 3, which is priced Rs 11,999, but packs in better hardware and a bigger battery. 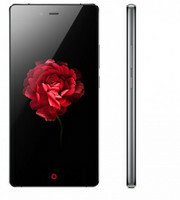 Specification wise, the ZTE Nubia Z11 Mini at Rs 12,999 is a decent device, though not the best option. It fulfills what it promises such as a good looking phone with good chipset and camera. But it's the few small chinks in its armour that lets it down. Its biggest drawback is its older Android OS which makes it case very weak. 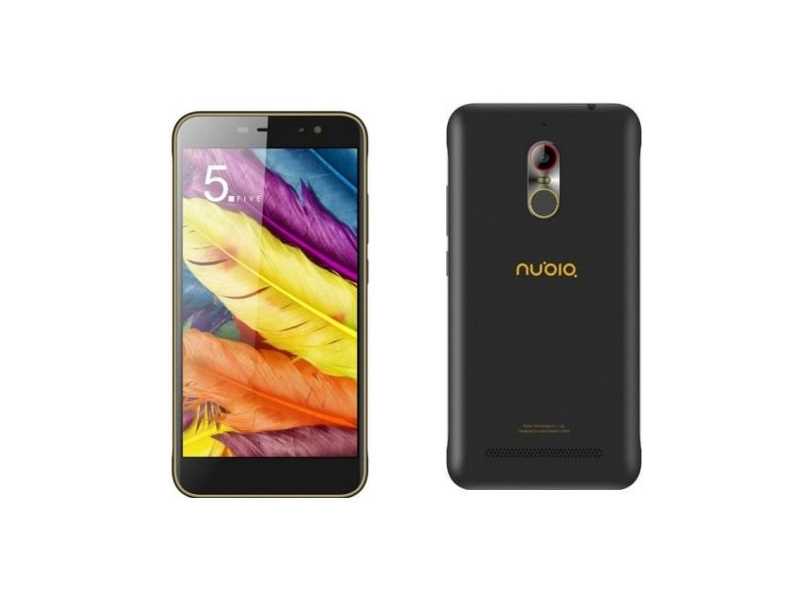 Nubia thus should release the Android Marshmallow atleast if not Android Nougat but it has to act fast if it wants to make the Z11 Mini a mighty smartphone in the sub-Rs 15,000 segment. Overall, we feel that the Nubia Z11 mini is definitely a good looking, well-built device from ZTE’s subrand Nubia. The two cameras are decent, but lacks the consistency sometimes. The combination of Snapdragon 617 and 3GB of RAM is average. The phone doesn’t heat much in heavy duty tasks too and we were pleasantly surprised to see that. The phone supports USB OTG for good, but then it lacks the essential fast charging. Nubia Z11 Mini S and Xiaomi MI5S can have nice similarity in camera, design, and battery, but in terms of hardware, Xiaomi MI5S can win over Nubia Z11 Mini not only in terms of antutu. 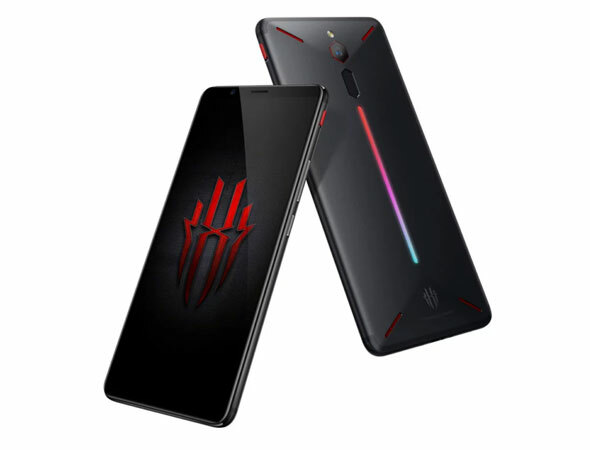 But considering the price, Nubia Z11 Mini S RAM 4GB ROM 64GB version sells at 1499 yuan, $250, RAM 4GB ROM 128GB black golden advanced version at 1899 yuan, $316, but Xiaomi MI5S RAM 3GB ROM 64GB at 1999 yuan, $330, and RAM 4GB ROM 128GB version at 2299 yuan, $383. Therefore, if you don’t pursue too high-end performance, Nubia Z11 Mini S is enough to use, but you are a game lover, we highly recommend choosing Xiaomi MI5S. The Nubia Z11 Mini is a really good attempt to gain some foothold in the burgeoning Indian smartphone market. At a price tag of Rs 14,500, we'd say that it's definitely a value for money device if you're looking for a camera-centric smartphone in that kind of budget. Its downers include a dated operating system and uncertainty about OS updates. At this price, the Nubia Z11 Mini offers a great camera and decent overall performance. Yes, the phone has its minor issues but nothing you can’t really live with. The only asterisk on top is whether the company has the conviction to see this phone through to success. Positive: Nice design; high performance; good cameras. Negative: Short battery life. Positive: Slim size and lightweight; powerful hardware; impressive design; good battery life. Positive: Compact size; decent cameras. Negative: Unsupport dust avoiding. To sum up, the Nubia Z11 can be seen as a potential flagship-killer and does give a stiff competition to the OnePlus 3, but its software is the one reason of making it a ‘potential’ and not actual flagship-killer. If you’re not in the U.S. and can get LTE support for this phone, this is most certainly an excellent phone for the money. It’s going up against the likes of the One Plus and it can hold its own there. As with stills, many videos offer accurate target exposures in both bright- and low-light conditions, and autofocus is generally accurate under stable lighting. The apparent lack of video stabilization is an issue, however, making stable movies with even moderate movement a challenge. While shooting video under changing lighting conditions, we also observed slow and inconsistent convergence for exposure and white balance, as well as some autofocus failures. The Nubia Z11 is a worthy flagship device. Priced at Rs 29,999, the smartphone offers powerful specifications along with a great-looking bezel-less display, which is not present in any of the phones available in the market. Along with this, the company is also working on rolling out Android N update. With these specs and price, the Z11 can give a tough competition to the OnePlus 3T , which also has a starting price of Rs 29,999. The Nubia Z11 fails where Nubia phones have traditionally excelled: the camera. However, it's still a really fast smartphone with above average battery life, and what is arguable the best design of 2016. It's a viable alternative to the OnePlus 3T and definitely worth considering. But then, the Z11 has an ace up its sleeve. It's the one and only smartphone in and around its price category to feature a bezel-less display and mind you; it's more than just a gimmick. It's very functional too and oh so very good looking. It has all the ingredients that make a flagship, but comes at half the cost. It won't necessarily kill the OnePlus 3. But, it could be a viable alternative. At the moment, I think the Nubia Z11 is a good challenger to the OnePlus 3 given its overall performance, camera and specs. However, the struggle for Nubia will be in establishing itself as a brand that India knows and trusts. I suggest this phone for those who love to be a bit ahead of the curve when it comes to technology and likes to take funky photos. At the moment, if you’re anywhere except Germany, Spain, Italy, or India (where the Nubia is officially sold), the answer is no. Even in the U.K., where our test phone has operated without a problem on a 4G LTE network, it’s not worth importing one. Confusion and concern over connectivity is a prime reason, along with the high price of the device. An Axon 7 or OnePlus 3 is cheaper, and officially sold in both the U.S. and U.K., and we consider them both just as good as the Nubia Z11. 80% Nubia Z11 review: An edge-to-edge screen sensation? However, it does have some quirky software issues. And let's not forget the OnePlus 3 which, at £45 cheaper, will be the more obvious and available choice for many. 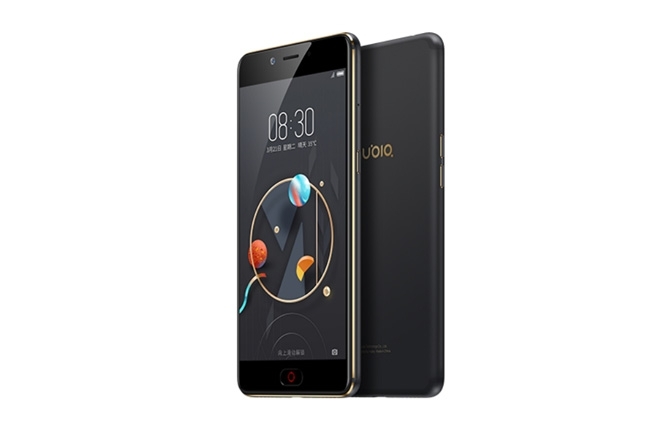 For a brand most of Europe isn't familiar with yet the Nubia Z11 does make a strong first impression though. That edge-to-edge screen is its obvious big sell and the hardware is decent. The main downside is less to do with the phone itself and more about just how competitive this mid-price market has become. Just like its predecessor, the Nubia Z11 left us with some mixed feelings. The brand has grown a lot and it shows, but for every few things the handset gets right, there still seem to be the one or two oddities that creep in and smear an otherwise great picture. 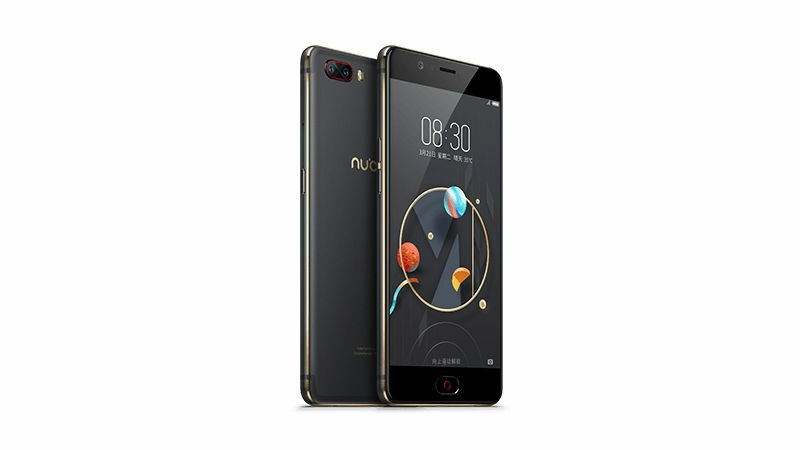 The Nubia Z11 is a surprisingly accomplished smartphone, but one which may find it difficult to stand out, especially with a price point which is comfortably higher than the similarly powered and styled OnePlus 3. The Z11 is a solid flagship offering from Nubia with some interesting camera features, great build quality, and a stunning bezel-less display. While it may be a compelling option for some, there are plenty of Android options available at this point in 2016, and it’s arrival in the US may be a little too late. 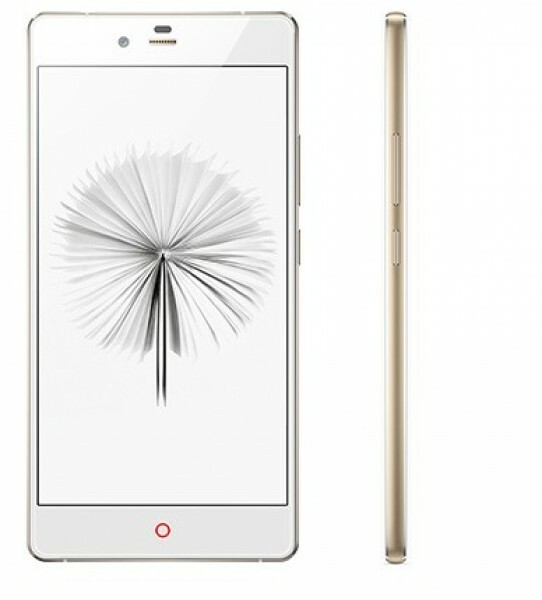 The Nubia Z11 is their current flagship smartphone, and it really does feel like one. Although it’s a bit weird to call this a flagship without a QHD display on board. There’s a lot to like about the Nubia Z11, including its camera and interface. It may not be the perfect phone for everyone, but at its price point, it will definitely stand out. Even though OnePlus does deliver more RAM for just a few bucks more. Was kann das China-Handy von Cristiano Ronaldo? Positive: Nice design; metal case; fast fingerprint sensor; support NFC. Positive: Attractive design; nice display; good cameras; decent hardware; high autonomy. Positive: Good price; compact size. Negative: Poor cameras. Positive: Good price; decent performance; high autonomy; fast charge; excellent sound. Positive: Solid workmanship; good price; excellent display; support quick charging. Positive: Solid workmanship; good screen; high performance; decent cameras. Negative: Short battery life. Positive: Solid workmanship; nice display; decent cameras; high autonomy. Positive: Solid workmanship; nice display; decent cameras; good autonomy. Positive: Impressive display; beautiful design; decent hardware; quality cameras; quick charge. Negative: Relatively high price; sim and microSD are on the same slot; short battery life. Positive: Nice design; low price; decent display; good cameras; fast system; flexible fingerprint sensor. Negative: Weak speakers. Nubia Z11 Mini S Review – Best Mid Range Smartphone? In India, the Nubia Z11 mini S is available for ₹16,999 exclusively on Amazon.in. It’s priced well for what it does and if you are looking for a smartphone which offers good design, great display, and a brilliant camera, you can opt for Nubia Z11 Mini S.
Nubia Z11 Mini S boasts a Nubia UI 4.0 which is based on Android 6.0 Marshmallow. The user interface offers a variety of features like FiT 2.0, Split Screen, run two accounts on same apps (WhatsApp, Facebook), built-in screen recorder, and much more. The interface uses gesture-based controls, if you swipe from the top-left of the screen, you can draw the gestures to open apps quickly. The Z11 mini S has all the makings of a good smartphone, and after spending little more than a week with it, most of these translate well in the real world. Nubia has done a great job in terms of build quality and aesthetics, and this phone is well equipped with plenty of storage and a good processor. Both cameras do a good job in most lighting conditions, and battery life is solid too. There are areas where this phone could have been better, such as faster charging, the inclusion of NFC, and a more polished Android skin. 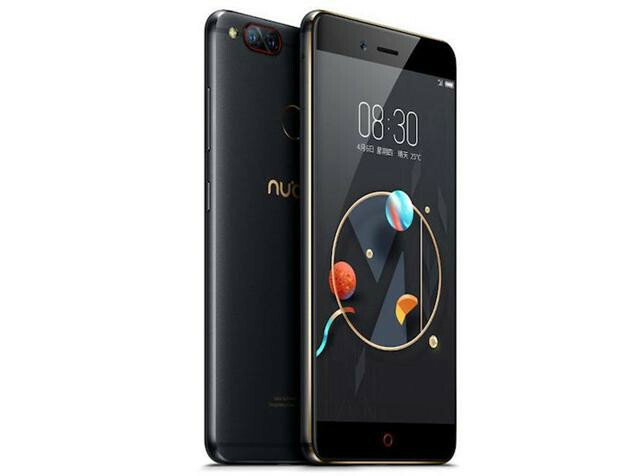 The ZTE Nubia Z11 Mini S is a great smartphone, that’s stuck with unfinished software; something that the company can work on and fix. It features the perfect hardware combination and I have no complaints regarding its Rs 16,999 price tag because it offers a lot more than the competition. There’s a capable 23MP camera, great battery life and a premium looking design, one that even gives the Asus Zenfone 3 (5.2-inch model) a run for its money. Positive: Elegant design; good cameras; decent speakers. Negative: Many bloatwares; low autonomy. Positive: Beautiful design; nice performance; good cameras; long battery life. Negative: Mediocre speakers. Positive: Good cameras; long battery life; decent performance. Positive: Metal case; good cameras; long battery life; nice display. Positive: Decent display; good hardware; stylish design; metal case. Positive: High resolution cameras; good price; high performance; impressive design. Negative: Short battery life; unsupport fast charge; average video resolution. The Nubia N1 is a good handset, camera is average (can be improved), battery life is impressive. When you look at this handset and then there is the Redmi Note 4, RN4 is no doubt a better option. 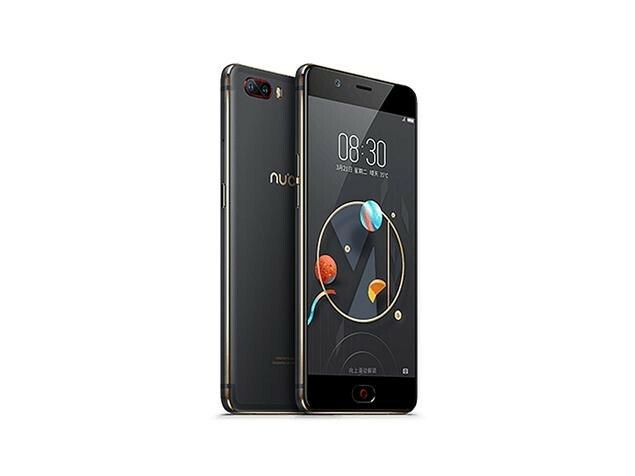 Nubia N1 is the perfect for the budget smartphone buyer, who need a smartphone that won’t die everyday. The long battery is a sure shot winner for the N1. The 480 ppi pixel density display also means that customers who love to watch movies on-the-go get a great experience, without charging the device every few hours. At Rs 12,000, Nubia N1 is a solid buy for those who need that extra battery. To conclude, Nubia N1 does scores good marks in terms of battery and overall performance. The smartphone comes with some interesting features in the software department, but still it needs to do a lot in order the software more efficiently. With 32GB/64GB storage and 5,000mAh battery you can pack your phone with movies and TV shows to kill your time while traveling. The display too is bright enough and we are sure that you’ll enjoy watching them. Nubia N1 has been priced at Rs 11,999 however; you can also consider Moto G4 or the Redmi Note 3. The Nubia N1 is a decent smartphone. It’s better than most other Helio P10 powered smartphones we’ve reviewed so far. However, it doesn’t live up to its promise of three day battery life and has a sub-par camera, making it a less than ideal choice. The Xiaomi Redmi Note 3 and Nubia’s own Z11 Mini are better phones to buy. It has an innovative (if confusing) UI, a good front shooter and a big battery, but those apart, the Nubia N1 is not very different from other notable smartphone falling in the sub-Rs 15,000 segment. And that is not good for it, because the Nubia N1 will be facing some stiff competition from smartphones like Lenovo K6 Power which offers a better multimedia experience at a lower price and Xiaomi’s Redmi Note 3 and Redmi 3S Prime which fall in the same category, and come with good battery life and a better UI. If all you need really is battery which can easily last for 2-2.5 days and a great front selfie shooter, the Nubia N1 comes as a great option for Rs. 11,999. The problem, however, is that most users want just a bit more. Nubia devices are generally quite good looking, but unfortunately, that's not the case with the N1. Apart from the camera there's nothing extra ordinary about this device. On the contrary, there are smartphones like Coolpad Note 5 and Moto G4 which have better specifications and look good too, despite falling under the same price bracket as the Nubia N1. Consequently, we don't think that the Nubia N1 is a value-for-money smartphone. Positive: High autonomy; decent cameras. Negative: Low performance. Positive: Decent cameras; high autonomy; nice performance; solid workmanship. Negative: Mediocre ergonomy. Xiaomi's Mi Max, which is one of the main competitors for the Z11 Max, offers the latest version of Android, a cohesive UI and is also priced cheaper at around $245. The only things that are better on the Z11 Max than the Mi Max are its rear camera, the AMOLED screen and the design. Positive: Stylish design; decent cameras; nice speakers. Negative: Many bloatwares; low autonomy. So, there you have it for this quick look at the Nubia N1 Lite! This entry-level smartphone may be an appealing starter device for some, or for those who are budget conscious. Stay tuned with Android Authority as we continue to bring you more great coverage from MWC 2017! Positive: Good price; nice display; decent cameras. Negative: Plastic case. Positive: High autonomy; fast fingerprint sensor; nice design. Negative: Low performance. The Nubia M2 looks pretty good and performs quite well. The display is nice to watch content on and battery life is impressive. Unfortunately, it runs an outdated version of Android and there is no news of updates at this point. Some users might find the UI confusing as well. Camera performance is good during the day but suffers in low light. Other devices such as the Moto G5s and the Xiaomi Mi A1 (Review) offer roughly the same hardware for less money, making the Nubia M2 feel overpriced. 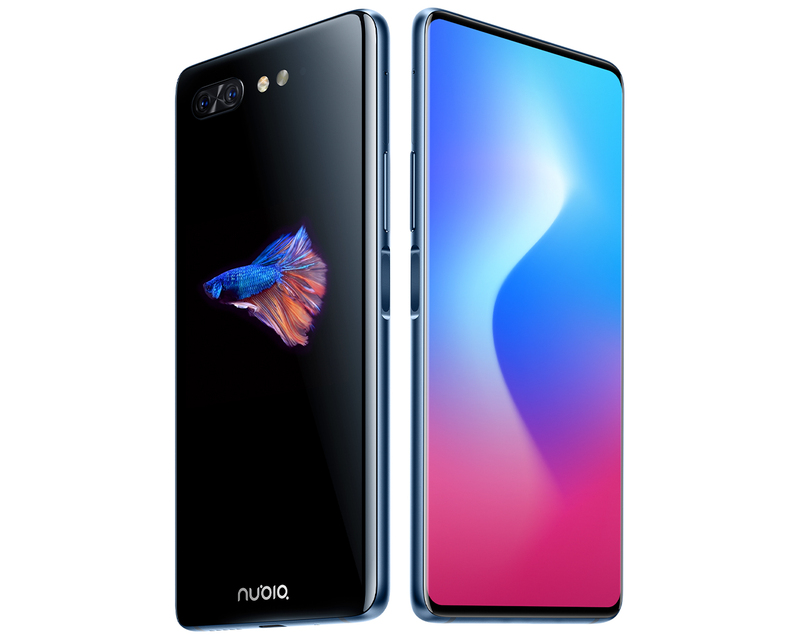 At RM1,699, The Nubia M2 is truly a stylish dual camera phone that will definitely appeal to those looking for a smartphone with a unique design without breaking the bank, if you can do without having the latest Android software and the dual camera’s mediocre performance, then you won’t find any major issues on the Nubia M2, it is a reliable smartphone that gets the essentials right. 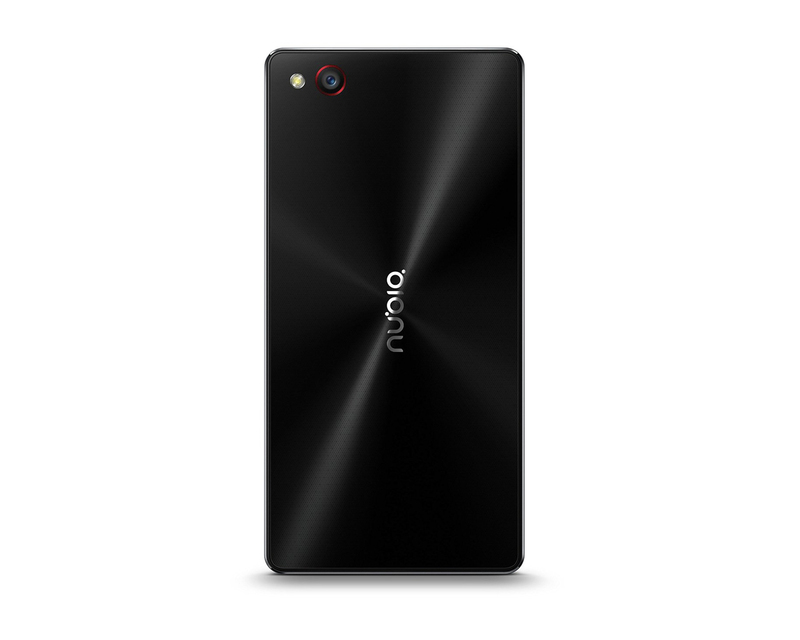 The Nubia M2 Lite is certainly an interesting device. It has a respectable screen, an excellent set of cameras, and a good number of features and gestures. On the downside, though, it falls short on battery life and still runs on an outdated version of Android. 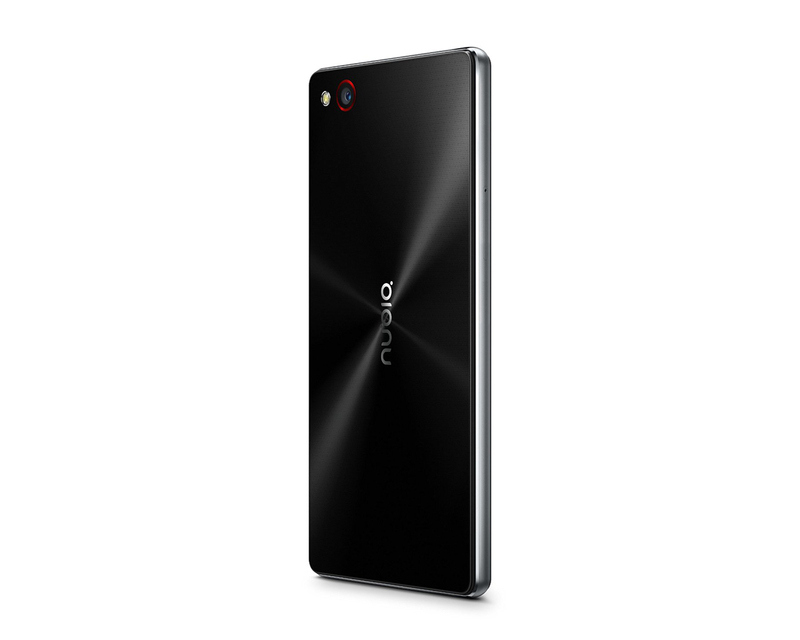 With a price tag of Php6,499 (see listing here), the Nubia M2 Lite is certainly a contender. So can it compete in the budget segment? If they can at least address some of its shortcomings like updating its OS, the answer to that is yes. The Nubia M2 Lite scores when it comes to design and build quality however, the back of the phone is slippery and you must use a back cover to get a better grip. Lack of Full HD display and Android 6.0 (Marshmallow) is also a let down especially at Rs. 13,999 price point. The front camera is good for selfies but still it is not exceptional. There are several other options that you can choose in the sub Rs. 15,000 category. The Nubia M2 Lite successfully makes itself stand out on camera and the display fronts. These two factors can tilt the balance in its favour in the budget smartphone market. The handset's battery backup is decent and light-average users should be able to pull it off for around 12 hours straight before plugging it back. At Rs 13,999, this phone will struggle against the likes of the Moto G4 Plus or the Moto G5 which seems to be offering a better screen and stock Android. But that does not mean this is a bad phone. Buy it if you want to flaunt a stylish design, and click photos which other phones will struggle with. The Nubia M2 Lite is a great looking smartphone, but beauty is only skin deep. It pales in comparison to competitors and though selfies are its USP, it's nothing extraordinary there either. Nubia products giving the best performance in all segments such as world’s first Borderless smartphone (2015), become one of the first Dolby Atmos-certified phones (2016). Furthermore, the first phone used for professional scientific project photography: the Milky Way (Beijing Planetarium & China Photographers’ Association, 2014), and the first phone with Independent Focus and Exposure Metering (2012). Nubia provides the best photographic experience and not just a smartphone with camera. Positive: Good price. Negative: No NFC; no USB-C. Positive: Slim size and light weight; excellent display; good speakers; fast fingerprint sensor; high performance; silent system. Negative: Low autonomy; poor connectivity; relatively high price. Positive: Nice design; decent hardware; good display. Negative: Poor cameras. Positive: Beautiful design; solid workmanship; high gaming performance; excellent display; low price. 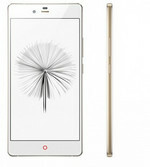 The Nubia N2 is the literal embodiment of the phrase 'form over function'. The smartphone looks stunning and is built exquisitely well. However underneath that beautiful shell are poor internals, un-optimised and buggy software, a substandard screen and average cameras. The saving grace is the huge battery but competing smartphones give comparable battery life thanks to more advanced 14nm Snapdragon chipsets. The Nubia N2 is a very good handset, looks great and feels great. Hardware is powerful, you can play high end games, run heavy app and there is plenty of storage. In camera app there are several modes including professional mode that gives you better manual control. It's cheaper than the best UK budget phones, yet blows them out the water on performance. For the money the good-looking Nubia Z17 Mini's hardware is more than adequate, it's just a shame it's not running the latest Android software. We are saying it aloud – the Nubia Z17 Mini is one of the best devices present in sub Rs. 20,000 category. The phone performs well in all segments – exceptionally so in the camera department – and did not really disappoint us at any stage. Yes, the battery could have been better and the UI needs a bit of simplifying but other than that, the Z17 Mini is a very solid device. The phone goes up against the likes of the Honor 6X, Moto G5 Plus, Mi A1 and its own cousin, the Nubia Z11 Mini which has a 23.0- megapixel primary camera. The competition in the sub-Rs. 20,000 is stiff and we do not know how well the Z17 Mini will do in the market but in our tests, the phone passed with more than just flying colours. It might not have the hype and hoopla that accompanies some of its competitors, but if you are looking for a great camera phone for under Rs 20,000, then the Nubia Z17 Mini is definitely one of the better options around. 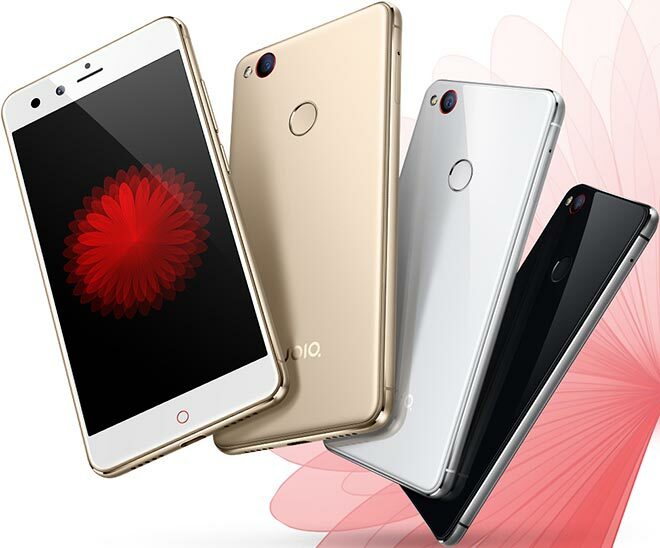 The Nubia Z17 Mini offers premium design packaged with good hardware setup. But the USP of the handset - the dual rear camera setup - is far from perfect and could not convince us enough to recommend the phone. If you are looking to buy a dual rear camera smartphone at a similar price point, the Honor 8 or the Gionee A1 could be better alternatives. To sum up, the dual-camera setup on the Nubia Z17 Mini does a decent job, while the monochrome mode manages to impress us sometimes. The phone looks premium and is a good performer in daily routine. However, the software is in dire need of optimisation and we hope that the company will surely look into this matter. At the end, when compared to the likes of Moto G5 Plus, Honor 8 Lite, Lenovo P2 and more, the smartphone can be considered as an underdog. 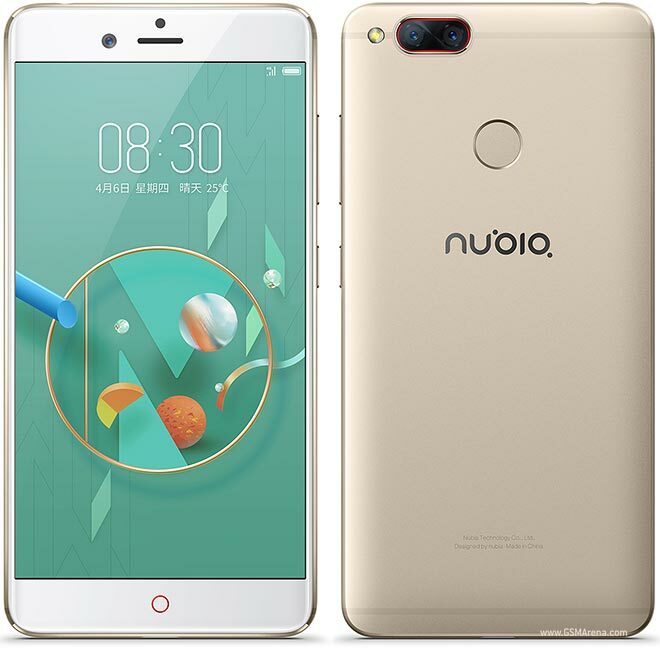 The Nubia Z17 mini is a bit of an expensive proposition at its current price of Rs. 19,999. Nubia has an exchange offer on Amazon that promises up to Rs. 13,000 off, but a discount that steep would require you to trade in an iPhone 7 or similar phone, so realistically you'd get a far more modest benefit. Nubia Z17 Mini is not perfect, but it has a few positives to its name. A good design, capable dual rear cameras and a beautiful display all this makes the Nubia Z17 Mini a highly recommended smartphone in the mid-end segment. However, I also see a great value in the Honor 8 which now sells at an equal price. That phone doesn’t disappoint in the camera department, though I wish it had a slightly better display. Nubia Z17 mini First Impressions: Will it make any difference? To sum up, the smartphone has its share of hits and misses. The device does manage to give a sleek and premium look, which is a good thing. The phone carries a specs sheet, which is pretty common at this price point, though a dated Android version can be an eyesore for some. 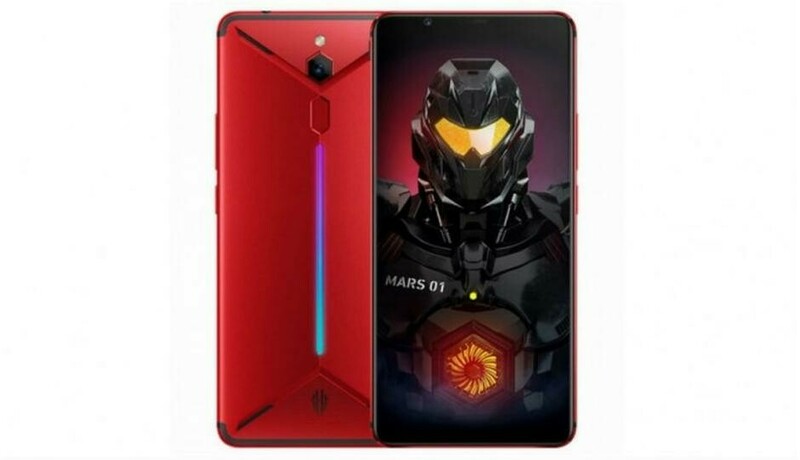 As for the competition is concerned, the phone will compete with the likes of Moto G5 Plus, Xiaomi Mi Max, Lenovo P2 and others, which offers come competitive specs at a similar price point. Positive: Premium design; great built quality; nice display; USB-C. Negative: Poor cameras. There are a few different ways to look at the Nubia Z17, but it definitely is a worthy addition to the 2017 flagship club. With a price tag south of the $500 mark, just the right bit cheaper than the OnePlus 5, the Nubia Z17 is probably the most affordable package with a Snapdragon 835 under the hood. This could've been calculated or coincidental, but ZTE didn't stop there and the phone deserves some credit for trying to over-deliver in terms of audio and imaging too. Positive: Nice screen with thin frames; high performance; good price. Negative: No headphone jack; no FM radio. The Nubia M2 Play has its moments, but it’s not a value for money purchase overall. It lacks in the camera department and performance is passable at best. There are better phones available in the sub-10k segment. At Rs 8,999, Nubia M2 Play is a good-looking device that surely can be termed value for money. It has a decent camera and battery. Facing tough competition from the likes of Motorola E4, Nubia M2 Play manages to hold up quite well. On the whole, M2 Play is worth the buck you will spend on it. The handset comes with a 3000mAh battery and it can easily last for one day of regular usage. 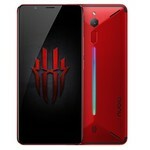 The Nubia M2 Play has been launched at 8,999 INR and the overall experience of the handset justifies the price. If you are restricted by a budget of 9,000 INR, the Nubia M2 Play is definitely a phone you can consider. The Nubia N1 Lite was also unveiled in India just a while back. It was made available in India priced at Rs. 6,999/- on Amazon.in starting from May 22, 2017, at 12:00 PM. Nubia was introduced to us in October 2012 which mainly emphasizes on bringing high-end, innovative smartphones for the users like us. 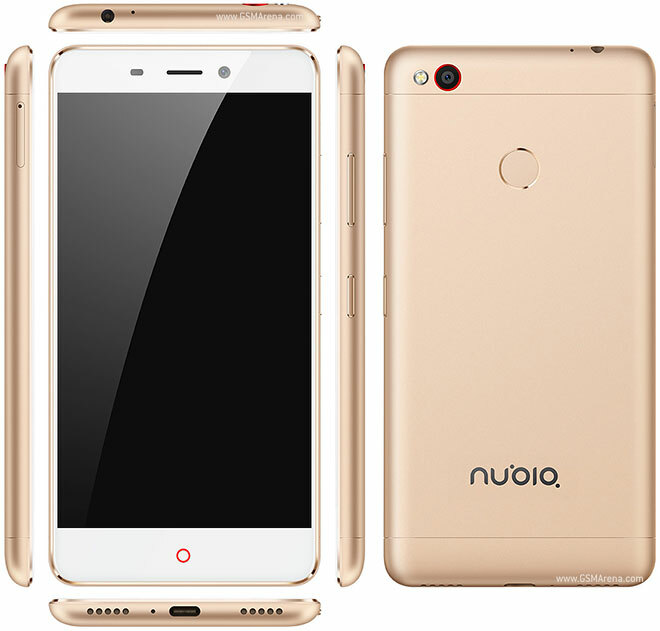 Nubia has now announced this N1 Lite smartphone in India by keeping in mind the aspirations of Indian consumers focusing on performance and reliability. As for the Nubia Z17 miniS , the relative will be more balanced, the price of 1999 with Snapdragon 653 will be a good choice, and also have a four-camera combination, if not necessarily a full screen and the top of the hardware configuration. 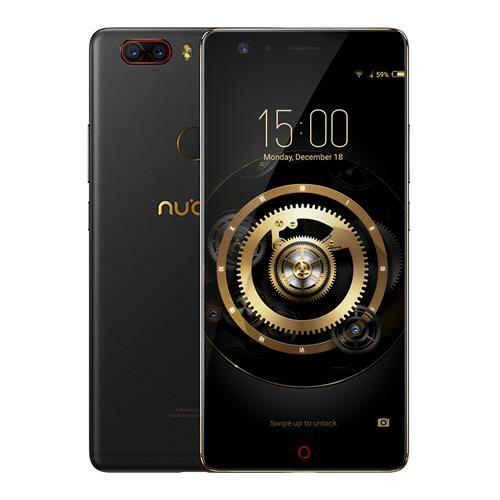 ZTE Nubia Z17S just of SP: $541.99 using Coupon Inside: ZTEZ17S and ZTE Nubia Z17 miniS of SP: $368.99 using it too Coupon Inside: ZTEZ17MNS. Nubia's feature packed Z17 Lite represents incredible value for money. Despite a medicore camera and polarizing software experience, the Z17 Lite is a premium phone in an affordable package. 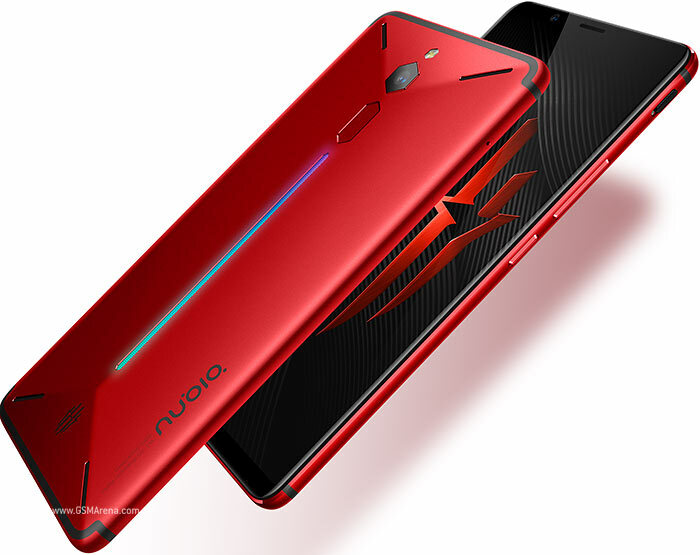 Overall, the Nubia Z17 lite have a high-quality camera, although compared with the Nubia Z17 ultimate shrink a lot, however the 6GB + 64G memory combination enough to form the phone run smoothly several Large-scale games, metal integrated body, with excellent feel, dual-band Wi-Fi also permits you to have a faster internet expertise for the pursuit of beauty, love taking pictures of friends, is a good selection. Positive: Powerful hardware; high performance; good price. Positive: Beautiful design; powerful hardware; nice display; good main camera; fast fingerprint sensor. 81% Recensione Nubia Z17 Lite: il più bello di tutti! Positive: Solid workmanship; beautiful screen; nice performance. Negative: No B20; no microSD slot; no headphone jack. 84% RECENZIA Nubia Z17 Lite: Takto kvalitný telefón za 200 € som ešte nevyskúšal! Positive: Powerful hardware; impressive design; high performance; nice cameras. The Nubia X is a valiant effort to maximize smartphone screens: the rear display is fully functional, which is certainly a feat compared to earlier efforts at adding a rear screen. Positive: Impressive cameras; nice design; solid workmanship. 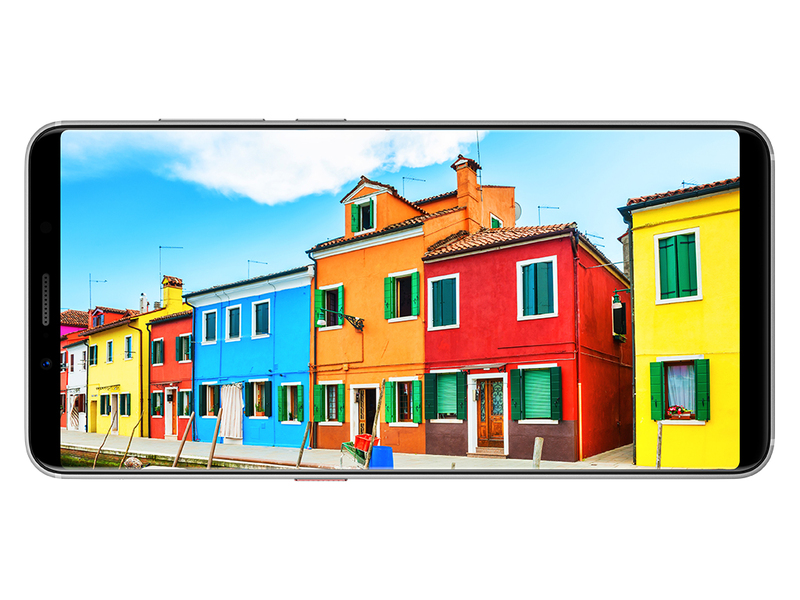 Positive: Impressive design; big screen; excellent display; nice selfie camera. Positive: Powerful processor; nice gaming performance; good price. Qualcomm Adreno 405: Integrated graphics card for ARM based SoCs. Depending on the used SoC the clock rate is around 500 MHz and features 48 unified shaders.Qualcomm Adreno 506: Integrated graphics card in the Snapdragon 625 SoC and based on the new 500-series architecture with support for Vulkan, OpenGL ES 3.1 + AE (3.2) and UBWC.ARM Mali-T860 MP2: Dual-Core version of the Mali-T860 graphics card from ARM for mostly Android based smartphones and tablets. E.g. in the Mediatek Helio P10 clocked at 700 MHz and produced in 28nm.Qualcomm Adreno 510: Integrated graphics card based on the Adreno 500 architecture, like the Adreno 520 in the Snapdragon 820. Performance should be on average similar to the old Adreno 330 in the Snapdragon 801. Supports DirectX12, OpenCL 2.0, OpenGL ES 3.1 + AE.Qualcomm Adreno 505: Qualcomm Adreno 512: Integrated graphics card based on the Adreno 500 architecture, like the Adreno 520 in the Snapdragon 820. According to Qualcomm up to 30% faster than the previous generation (Adreno 510?). Supports DirectX12, OpenCL 2.0, OpenGL ES 3.1 + AE.Non demanding games should be playable with these graphics cards. Qualcomm Adreno 530: Integrated graphics card in the Qualcomm Snapdragon 820 that is clocked at up to 624 MHz. Early 2016 it is a high end graphics card for Android based smartphones and tablets that should be able to coop with very demanding games.Qualcomm Adreno 540: Integrated graphics card in the Qualcomm Snapdragon 835 SoC. Slighly optimized architecture compared to the Adreno 530 but with higher clock speed due to the new 10 nm process. In the beginning of 2017 one of the fastest graphics cards for Android based smartphones.Qualcomm Adreno 630: Integrated graphics card in the Qualcomm Snapdragon 845 SoC. According to Qualcomm 30% faster than the old Adreno 540 in the Snapdragon 835 with 30% less power consumption.These graphics cards are not suited for Windows 3D games. Office and Internet surfing however is possible. Helio P10 MT6755: ARM-based octa core SoC (8x Cortex-A53) with 64 Bit support and a clock rate of up to 2 GHz per core.MT6737: ARM based quad-core SOC (4x Cortex-A53) with 64-bit support and a clock of up to 1.3 GHz.MT6750: ARM-based octa-core SoC (4x Cortex-A53 up to 1.5 GHz + 4x Cortex-A53 up to 1 GHz) with 64-Bit support and integrated LTE Cat. 6 radio. 76.75%: This rating is not convincing. The laptop is evaluated below average, this is not really a recommendation for purchase.» Further information can be found in our Notebook Purchase Guide.